We are very excited to announce that Something for Kate will embark upon their first national Australian tour in nearly five years this October! 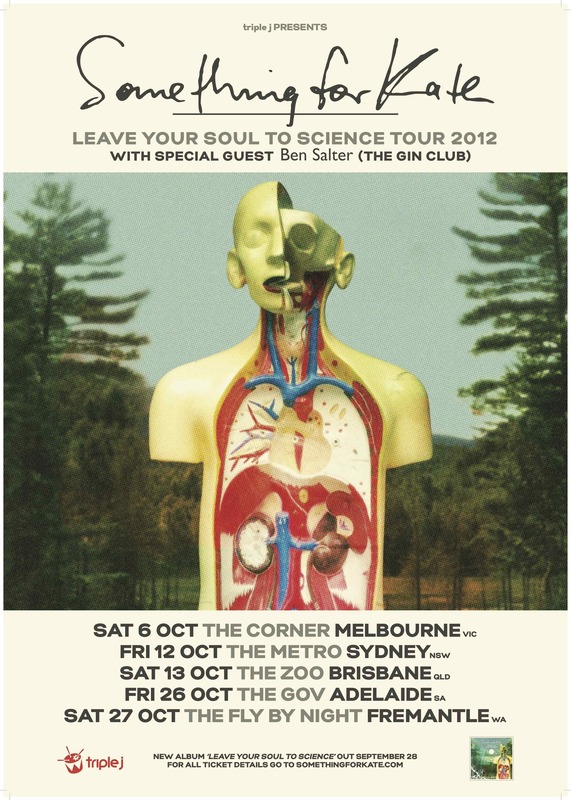 Marking the release of the brand new album, Leave Your Soul to Science, the Leave Your Soul to Science Tour 2012 will see the band reveal songs from the brand new album as well as songs from their extensive back catalogue. Joining them on the road will be Ben Salter (The Gin Club) in solo mode. Tickets are on sale now!